Few things say “celebration” like ice cream- we go out for ice cream to celebrate special events, we have ice cream and cake to celebrate a birthday- so why not just have an ice cream-themed party? Whether it’s a birthday, anniversary, or just a boring Tuesday, if you love ice cream and your friends do too, then throw an ice cream party to celebrate. Here are some great ideas to get you started. Every fun themed party starts with an amazing invitation- and ice cream parties are no different! A colorful, triple-decker ice cream cone invitation can give your guests the “scoop” on your party, with the reason for the celebration on the top scoop, the date and time on the second scoop, the location on the third scoop, and an RSVP on the cone (so you can make sure you’ve got enough Harmony Valley Creamery ice cream for all your guests). 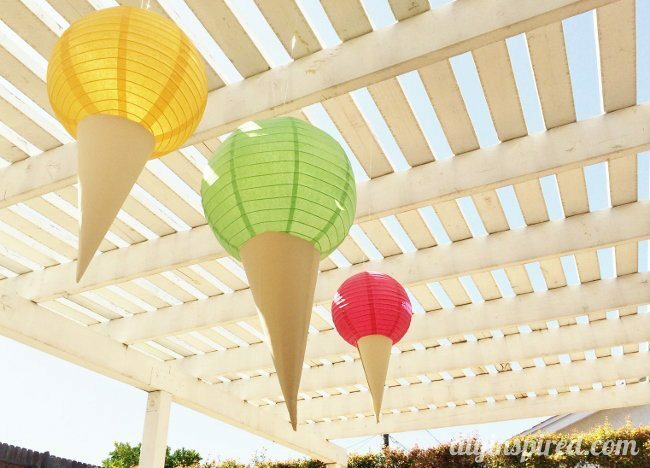 Get your guests into ice cream party mode with some fun ice cream-themed decorations. Try making your own ice cream cones using balloons and kraft paper, or gather some urns and fill them with tissue paper poufs to create some oversized ice cream sundaes. Don’t forget the straw! If you’re hosting your party at night, using colorful lanterns for your scoops will give you both fun decor and functional lighting. What’s a party without some awesome party games and activities? 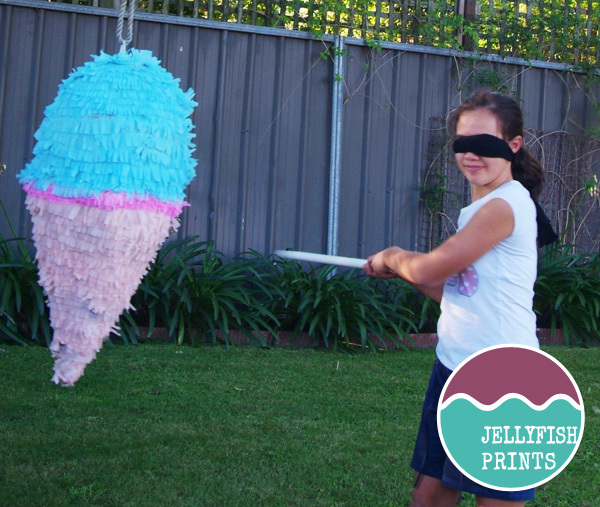 Try playing Pin the Cherry on the Cone, or let guests try their hand at breaking open an ice cream piñata. Let kids team up to color their own ice cream trucks and then have races to see whose truck is the fastest. Once your guests have worked up an appetite, bring out the star of the show and play a fun game of Roll-a-Sundae, where guests get a bowl of plain ice cream (we recommend Mayor Freddy’s Vanilla Bean) and then roll a die to see what toppings they’ll get to use to create their own delicious dessert. Or send them on a Sundae Scavenger Hunt to gather the fixings for a superb sundae. When it comes time to say goodbye, don’t let your guests leave empty-handed. Some cotton candy cones will keep everyone’s sweet tooth satisfied on the way home, or if you want to keep those cavities to a minimum, try serving up nail polish, lotions, and other beauty treats in an ice cream carton with a body scrubber scoop on top. Kids will love blasting each other with ice cream shooters, or blowing bubbles with ice cream cone bubble bottle necklaces. Let them play the part of the ice cream man by handing out some soda jerk hats and plush ice cream treats. You can make sure everyone has somewhere to keep their goodies with colorful ice cream tote bags. As you’re planning your next ice cream party, be sure to invite Harmony Valley Creamery ice cream. Click here to find out where to pick up a few pints near you, or if you’re planning a grander affair, contact us to schedule the scoop truck to come by. We’ll make sure your party is a sweet success and provide cold, creamy, yummy ice cream for you and your guests to enjoy!